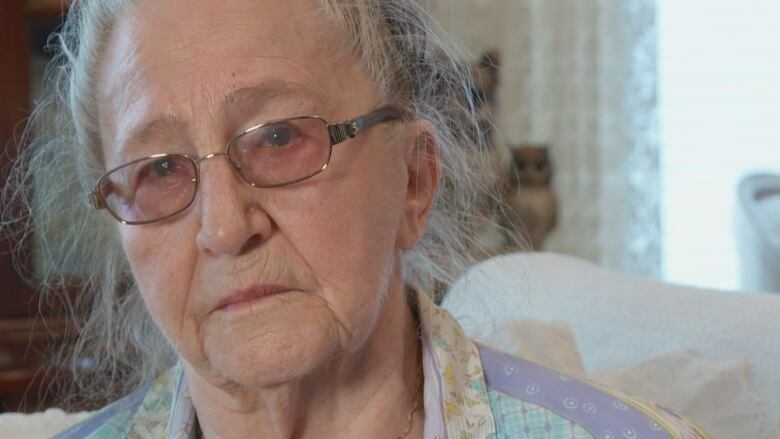 She's 89, deaf and suffering from dementia. Is the busy care system isolating her further? 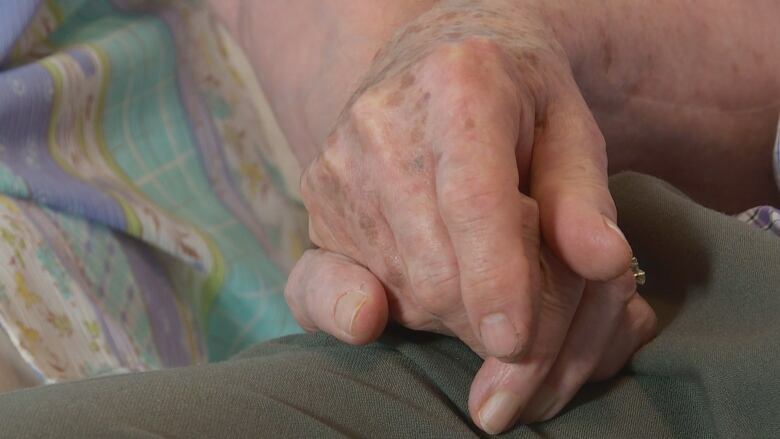 An 83-year-old Edmonton man is calling for a review of seniors' care in Alberta, sharing his deaf wife's story to underline the need for more compassionate care. Adina Nattriss sometimes shuffles down the hallway and slips printed poems and prayers, decorated with floral stickers, under the doors of neighbours she worries are as lonely as she is. Each handmade card is painstakingly signed with the words, "From Adina." For the 89-year-old deaf woman, it's one of the few ways she can still communicate with others. 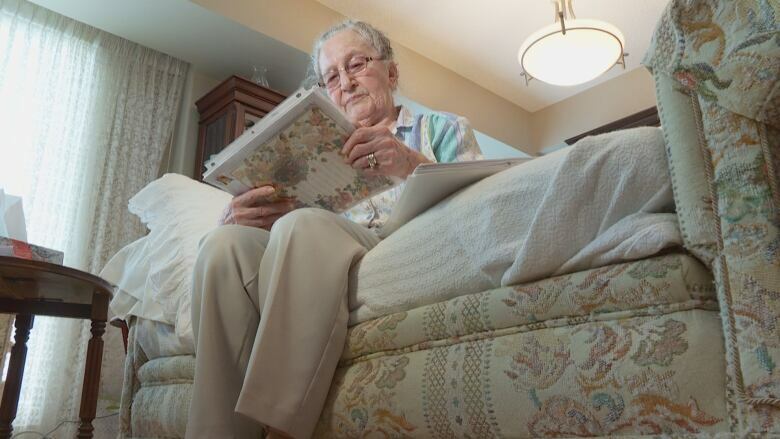 She spends most of her time alone in her room at Shepherd's Garden, a Christian supportive living home run by Shepherd's Care Foundation in southeast Edmonton. "The nurse comes in only to help give me medicine," Adina said, in the unique accent of a deaf person. Every afternoon, she crumples into a wheelchair and rides the elevator in her building to the ninth floor where her husband rents an independent-living apartment. ​"If I'm not here, I'm alone," she said, gesturing at her husband's living room. James Nattriss, who has been married to Adina for 48 years, said the worry for his wife can make it hard to sleep. "At the end of her life, she feels like she's a prisoner in a cell in jail," the 83-year-old retiree said. "She sometimes feels that life is no longer worth living, that she'd rather be dead because of the stress. And she knows I'm suffering, too, but I don't think she realizes the full extent." Adina can read lips but James said her caretakers often don't stand close enough for her to see their mouths move. She also has severe arthritic pain in her back, which limits the activities she can participate in. She can't sit upright long enough to attend church and the services played on a TV at Shepherd's Garden aren't subtitled for her to read. Most days, Adina lies in silence on her bed or on James' couch. "Your understanding is that you work all your life and then you think that the Alberta health system should be able to provide for the needs of seniors," James said. "Being deaf, she should get a little more attention." Despite the resources in place for residents at Shepherd's Garden — and his own failing health — James said he spends about six hours a day caring for his wife. Once or twice a week, he hires a companion for Adina so he can leave the building to meet a friend for lunch. "To give myself a little bit of a break — but that's the only downtime that I have," James said. "I haven't been out of the city of Edmonton since 2003. "If you're looking at a caregiver for dementia, you're supposed to take care of yourself first but there's no opportunity for me to do that under the present system." At night, he worries about what will happen to his wife if he dies before she does. The two don't have children, and there are no other relatives that can care for her. "If something happens to me then she'll be totally alone," James said. Shepherd's Care Foundation is a not-for-profit organization that provides home care, long-term care and supportive living to more than 1,800 seniors in Edmonton. Licensed home care professionals help clients with their hygiene, wellness checks, medication and other forms of care based on needs identified through assessments with Alberta Health Services. For months, James raised his concerns about Adina with the caregivers at Shepherd's Garden without seeing any changes. On Friday, he sent an email to the foundation's senior management as well as various media outlets in the city. During an interview with CBC News later that afternoon, his phone rang and he left the room. He returned about one hour later and said he had been called into a meeting with management to talk about his concerns. In an email responding to questions from CBC News, Shawn Terlson, Shepherd's Care Foundation president and chief executive officer, said he had immediately set up a meeting to review Adina's chart after reading James' email. He also organized a meeting with her case managers at Alberta Health Services, he said. "We have co-ordinated a plan to provide extra supports for [Adina's] care," Terlson said in the email to CBC News. "We are doing everything possible to support [the couple]." Even though Shepherd's Care Foundation has now addressed his specific concerns about Adina's care, James said he hopes the organization will review how it treats seniors with special needs. "She's worked hard and has been independent all her life and has gone through a lot of trials." Adina lost her hearing at age 10 at the beginning of World War II, after contracting meningitis at a German camp for displaced civilians. She didn't hear the sounds of war, but can't forget what she saw — the death of both parents, the inside of a prisoner's camp, the separation of her little brother from his family to fight in Russia. Advancing dementia has fogged her short-term memory, leaving behind the vivid images of what she witnessed during the war. Even seven decades later, the silent memories trapped in her mind still make her cry. 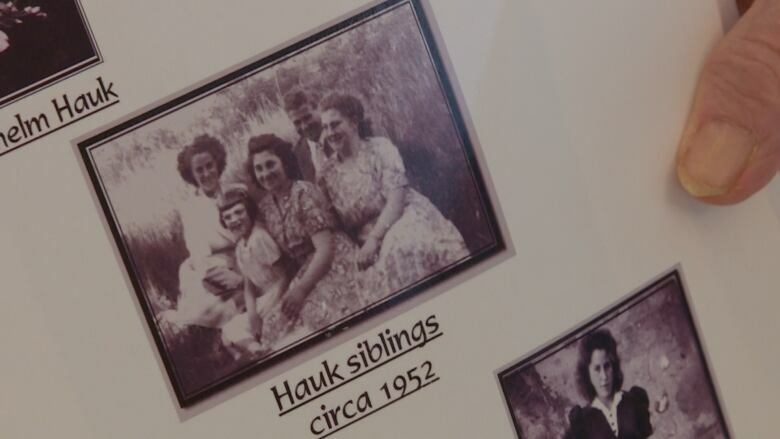 After both her parents died, Adina took responsibility for her younger siblings and immigrated with them to Canada in 1950. She had never heard English spoken aloud but taught herself to read and speak the language using translations in books. "This is how we met, actually, because I was deaf as a child and realized how difficult it must be for her so I was helping to coach her," her husband said. Adina would read his lips and James would fill in the words she didn't catch with sign language. "She was very, very good-looking," he recalled. "She still is." 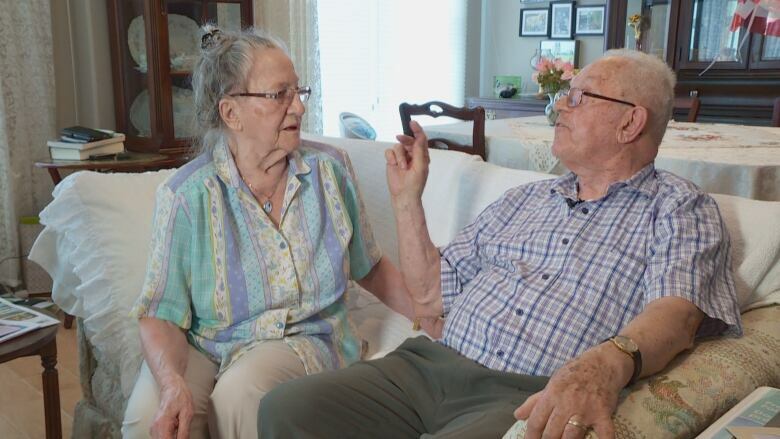 After more than four decades of marriage, they could no longer maintain their home and moved into an apartment at Shepherd's Garden. Then when Adina's health began to deteriorate three years ago, she transitioned into a supportive-living room in the same building. His wife's story and current situation should serve as a reminder for more compassionate seniors' care across the province, James said. Shepherd's Care Foundation is an accredited member of the Alberta Continuing Care Association. The organization also meets the standards set out by Alberta Health, which are mandatory for continuing care facilities that are publicly funded. "These are the standards continuing care staff must adhere to in providing high quality, comprehensive, individualized care," Alberta Health spokesperson Gereghty wrote in an email statement to CBC News. Alberta Health has a hotline for complaints about accommodation, continuing care health service standards and allegations of abuse, Gereghty added. "Alberta Health Services conducts regular Continuing Care Health Service Standards audits and responds to resident and family concerns," he said. "Alberta Health monitors processes established by AHS and also conducts audits as required."